Home buying process. Pleasanton real estate agent Jeremy Irvin. Once you’ve found your dream house, it’s time to get started with the financial and contractual side of the purchase. 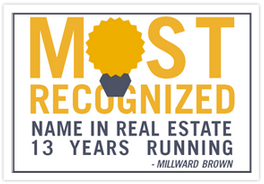 Let your CENTURY 21® professionals guide you through this process. Purchase contracts vary in length and terms from state to state, and within a state, from locality to locality. 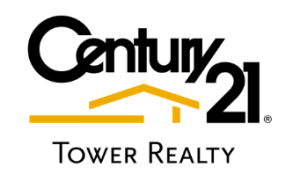 Because you and the seller have different goals, rely on your CENTURY 21 agent’s experience and expertise. He or she can bring order and calm to the process and will know what questions you may not know to ask to help you reach a favorable outcome.Multiple home purchase offers on the same home are not uncommon, so you may only get one chance to make an offer that the seller will consider. That’s why it’s important to think carefully about your strategy. In most cases it is better to have your real estate professional negotiate the offer. If you have any personal interaction with the homeowner, don’t give out any information about your move, your current housing status, financial status or your feelings about their property – positive or negative. This could hurt you in future negotiations. Find out what other homes have sold for in the area, how much money you might have to put into repairs or renovations. These considerations factor in with how much you’re comfortable spending.Also, it helps to know the features that help or hurt resale. In some areas, a swimming pool actually detracts from a home’s value and makes it harder to sell. In neighborhoods with two-car, attached garages, a single-car or detached garage may affect the home sale and future value. The condition of the house. Is the home in move-in condition, in need of paint and other cosmetic improvements, or a fixer-upper that needs some real work? Your ceiling. If you’ve gotten a credit pre-approval, you know how much you can borrow for your home purchase. Of course, you may not be comfortable paying as much as you’ve been approved to borrow, so think carefully about your financial situation before making an offer. Though most buyers don’t buy a home with all cash, anyone considering such a move may be wondering how. Because all cash buyers sidestep the time-consuming loan qualification process, the deal can close very quickly. The primary advantage of buying a home with all cash is completely avoiding mortgage interest. Buyers also save money that would be spent on loan origination fees, required appraisal, some closing costs and various other charges imposed by the lender. At the same time, all-cash buyers should consider potential pitfalls of the transaction. Buyers who want to use the home as their primary residence lose out on many of the tax advantages available to homeowners with conventional loans. If you can afford to pay cash but are concerned about price appreciation, you may be better off obtaining some financing. Also, look at other investments that are paying off and determine if spending cash on a home is worthwhile. There are several ways to secure a mortgage. 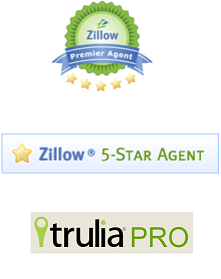 You can get one directly by working with a mortgage broker or you can go to a bank, credit union or savings and loan. We can help connect you with a reputable mortgage lender. Many home buyers choose to arrange financing before shopping for a home and most lenders will “pre-qualify” them for a certain amount. Pre-qualification helps buyers to focus on homes that fit your plans and budget. Nothing is more disheartening for buyers or sellers than a deal that falls through due to a lack of financing. Price discounts and interest rate buy downs are common incentives offered by new-home builders trying to overcome slow sales. Buy downs are a financing technique used to reduce the monthly payment for the borrower during the initial years of the loan. Under some buy down plans, a residential developer, builder or the seller will make subsidy payments (in the form of points) to the lender that “buy down,” or lower, the effective interest rate paid by the home buyer. State agencies often offer lower rate loans. But to qualify, borrowers usually must be a first-time home buyer and meet income limits based on the median income level of their county. *According to Charles O. Stapleton III, Thomas Moran and Martha R. Williams, authors of “Real Estate Principles,” 3rd Ed., Dearborn Financial Publishing, Chicago; 1994. If you feel that your credit report is wrong, experts say it’s best to take it up with the organization or company claiming you owe them money. But if you’ve been late paying your bills, regroup by paying in full and on time for six months to a year to prove to the lender that the late payments were an aberration. Unless you have enough money to pay for a house yourself, you’ll need a mortgage loan. A mortgage is a loan you take out to finance the purchase of your home. It is also a legal contract stating that you promise to make a monthly payment until your loan is paid off. Today, there are hundreds of different programs to choose from, but don’t let that overwhelm you. Most of the home loans are variations of a fixed-rate mortgage and adjustable-rate mortgage. Knowledge of how these mortgage programs work will help you to understand the majority of available loan options. You may qualify for a new loan without even selling your current home. A fixed-rate mortgage keeps the same interest rate for the life of the loan. For most people, especially first time home buyers, this is the best option because you pay the same monthly principal and interest rate. A fixed-rate mortgage means the interest rate and the payments remain the same for the entire life of the loan (taxes, of course, may change.) Advantages include consistent principal and interest payments, making this loan stable. In other words, your rate won’t change, so you don’t need to worry about market fluctuations. Disadvantages include a possibly higher cost. These loans are usually priced higher than an adjustable-rate mortgage. Keep in mind that, on average, most people move or refinance within seven years. If rates in the current market are high, you’re likely to get a better price with an adjustable-rate loan. 30 Year Fixed-Rate Mortgages offer consistent monthly payments for the entire 30 years you have the mortgage. So if the market is good, you can benefit from locking in a lower rate for the full term of the loan. 15 Year Fixed-Rate Mortgages provide consistent monthly payments for the 15 years you have the mortgage. By building equity even more quickly than with a 30 year or 20 year loan, and paying less interest, you’ll save money in the long run. It’s an ideal option if you can handle the higher payments and if you’d like to have the loan paid off in a shorter period of time – for instance, if you plan to retire. An adjustable-rate mortgage (ARM) is one that the interest rate changes over the life of the loan – according to the terms specified in advance. The interest rate fluctuates based on several money market indexes, which cause the cost of funds for lenders to vary. All ARMs are amortized (paid down) over 30 years. The initial interest rate is usually lower than with a fixed-rate mortgage. The monthly repayment would also be lower. The interest rate may be adjusted (up or down) at predetermined times. The monthly payment will then increase or decrease. ARMs are usually priced lower than fixed-rate mortgages so you can increase your buying power and lower your initial monthly payments. If interest rates go down, you’ll enjoy lower payments. Usually an ARM is the best choice for homeowners who plan to relocate (for example, with their company or the military), or for those who are purchasing their first home and plan to be in the property only for three to five years. Remember that, on average, most people move or refinance within seven years. Conversely, monthly payments could increase if monthly payments if interest rates go up. Keep in mind that ARMs are best for homeowners who aren’t planning on staying with a property for a long period. If you’re on a fixed income, an ARM (especially a short-term ARM) may not be your best choice. 10/1 Adjustable-Rate Mortgages provide a fixed initial rate of the loan for the first ten years of repayment. After 10 years, the rate adjusts every year thereafter for the remaining life of the loan. The loan is amortized over 30 years. 5/1 Adjustable-Rate Mortgages mean the initial rate remains fixed for the first five years of repayment, and then adjusts every year thereafter. If you are working with a builder in a sub-division or development you may be able to obtain a standard mortgage loan. But if you’re hiring contractors, electricians, plumbers, and painters, you will probably need a construction loan, which provides funds to pay subcontractors as work progresses. Assumable loan permit one borrower to take over a loan from another borrower without any change in the loan terms. Such loans still exist but they aren’t very common or popular (for buyers) in a low-interest-rate environment. Plus, today new assumable loans are almost always adjustable rate mortgages. To find out if a loan is assumable, look to the loan agreement to determine if it is assumable by someone else, then talk to the lender about specific requirements based on the value of the home. PMI costs vary from one mortgage insurance firm to another, but premiums usually run about 0.50 percent of the loan amount for the first year of the loan. Most PMI premiums are a bit lower for subsequent years. The first year’s mortgage insurance premium is usually paid in advance at the close of escrow, and there is usually a separate PMI approval process. Lenders generally turn to a list of companies with whom they regularly work when lining up private mortgage insurance. In most cases, PMI can be dropped after the loan to value ratio drops below 80 percent. The Homeowners Protection Act requires PMI to be dropped when the loan-to-value ratio reaches 78 percent of the home’s original value AND the loan closed after July 29, 1999. For other loans, find out from your lender what procedure to follow to have PMI removed when your equity reaches 20 percent. For homeowners who have improved their properties and believe that their equity has increased as a result of these improvements, refinancing the property at a loan-to-value ratio of 80 percent or less is another possible way of eliminating PMI payments.